Bi-fold doors make it easier to see into a closet than sliding doors, because they fold back completely out of the way, whereas a sliding door will always block at least half the closet. 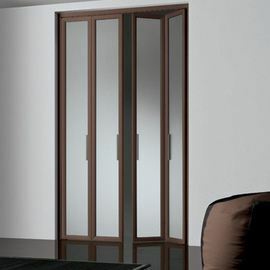 There is a wide range in prices for interior doors. A wood bi-fold door averages $125 to $175, which is on the cheaper end. Higher-end doors such as an aluminum barn door can be as much as $1,400.